Education and Outreach (E-O) activities will highlight the emerging field of Community Remote Sensing through hands-on demonstrations, workshops and displays. We invite the participation of college and precollege students! Education and Outreach events are described below and are scheduled for Wednesday and Thursday 09:00 - 15:45 in the Exhibit/Poster area and the Lehua Suite, with free E-O registration held from 09:00 - 09:40 on Wednesday and Thursday. Preregister and qualify for a $25 award. The award is provided to assist with lunch and travel cost. Seating is limited so sign up today! To pre-register, send an email to haydenl@mindspring.com with your name, age and school or college. Indicate whether you will attend on Wednesday, Thursday or both days. Participants will receive a hands-on demonstration of the S’COOL project that aims to collect data on cloud type, height, cover and related conditions from all over the world. 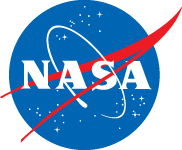 Personnel from NASA Langley Research Center will show the power that clouds have in our atmosphere. It is clouds, in part, that affect the overall temperature and energy balance of the Earth. The more we know about clouds, the more we will know about our Earth as a system. The S’COOL observations help NASA to validate satellite data and give us a more complete picture of clouds in the atmosphere and their interactions with other parts of the integrated global Earth system. This workshop provides information on how a community network and simple sensor platform for systematic monitoring of local environmental conditions can be used to study change over time in their local area. Participants compare digital images with satellite imagery and contribute towards improving their own communities. Workshop directors will help you share your digital photographs on the Picture Post website, and to study and analyze your findings using DEW software. During IGARSS 2010, Global Marketing Insights, Inc. will provide project training on the National Geospatial-Intelligence Agency GeoINT Online Communities website focused on Global Food Security. This is an exciting private/public sector project with the National Geospatial-Intelligence Agency and United States Department of Agriculture. The workshop will show you how to give input into the system which impacts all our lives and our dinner tables. Representatives of the National Oceanic and Atmospheric Administration will conduct discussions and demonstrations of educational products which help build understanding of the science of Earth’s systems and the stewardship of our planet. iPhone® applications that link to satellite overpasses will be displayed in addition to the workshops. Students write four questions that they will ask the scientist and vendors. They take their questions to the E-O booth for approval and signature. Students may ask questions remote sensing, why they enjoy their job, what subjects are most important to study, what does a certain word or image mean, what is the importance of remote sensing, what is GIS, what is GPS, etc. Students then visit vendor booths and meet with the scientists. They ask their questions and get a signature. Students provide a visual insight into how experiences at IGARSS 2010 have impacted them. Close your eyes and visualize some of the highlights of IGARSS 2010 including registration, exhibits, people, posters, etc. What colors do you recall seeing the most (yellow, blue, etc.)? Use those colors and sights in your design of an IGARSS 2010 Mousepad. 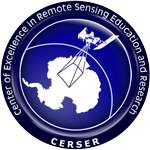 Mousepads and paints will be provided by The ECSU Center of Excellence in Remote Sensing Education and Research (CERSER). 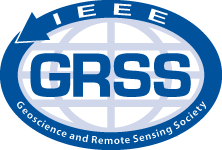 IGARSS 2010 will bring together over 2,000 engineers, researchers, teachers, students, and scientists from around the world to review the latest issues and studies of Earth remote sensing, and their environments in space. Interact with companies, government agencies, educational institutions, research facilities, scientifi c societies, and others exhibiting the latest in geoscience instruments, equipment, software, books and journals, and scientific programs at the International Geoscience and Remote Sensing Symposium. Get inspired and excited as you learn about what is possible in the coming decade. Remote sensing scientist, educators and students will present their investigations in hundreds of engaging posters, which allows you to interact with them one-on-one. 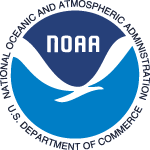 NOAA NASA-LaRC University of New Hampshire Global Marketing Insights, Inc.